'Chilly Willy' (J. Terry Aitken, R. 2012) Seedling #02M6. IB, 18 (46 cm). Late midseason bloom. 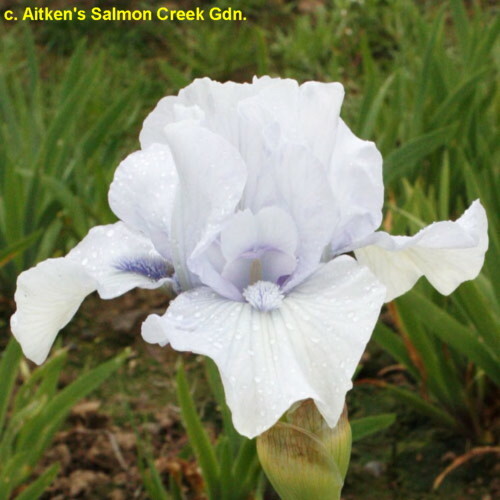 White self; beards white, hairs light blue base, white tips; slight sweet fragrance. ' Bedford Lilac' X 'Rapid Fire'. Salmon Creek 2012.